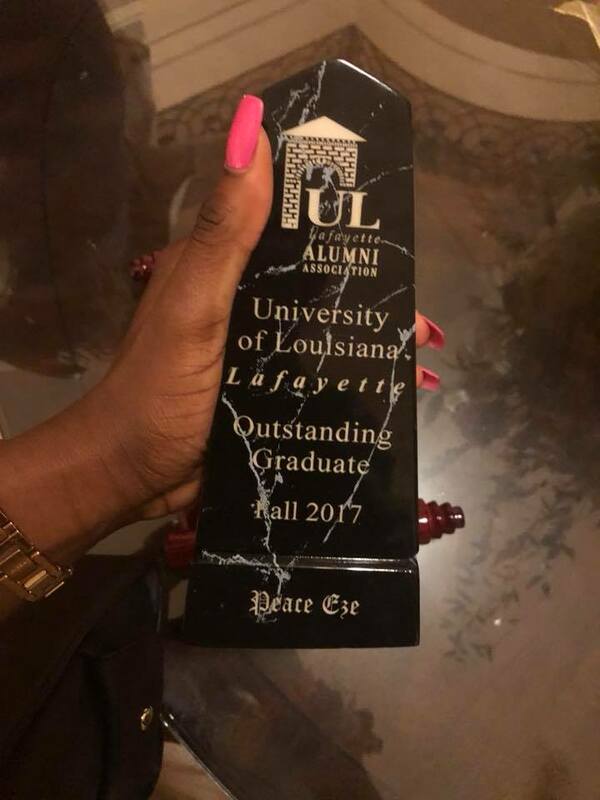 The Honors Program would like to congratulate Peace Eze on winning the prestigious award of Outstanding Graduate for the University of Louisiana at Lafayette and for winning Outstanding Graduate for the College of the Sciences. 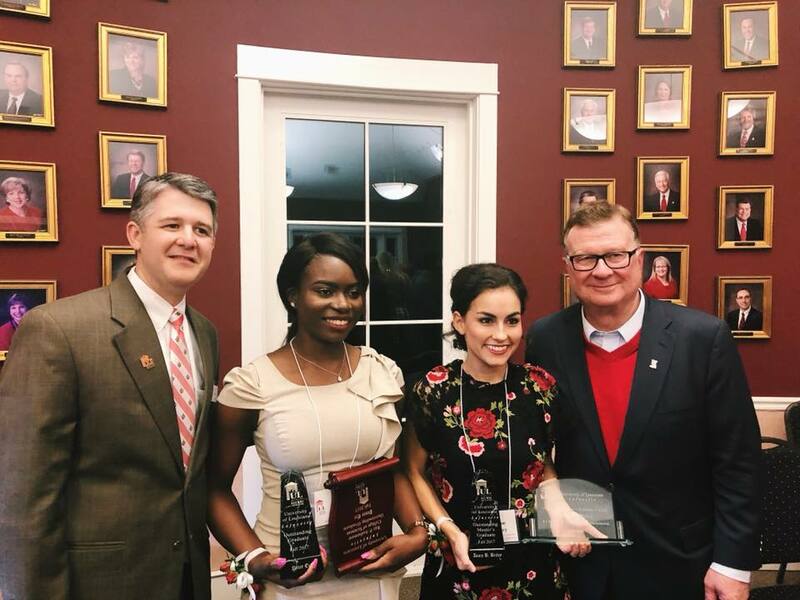 Peace has been an integral part of the Honors Program, both as an officer for the Honors Board from 2014-2016, but also as a volunteer for multiple events in Honors. 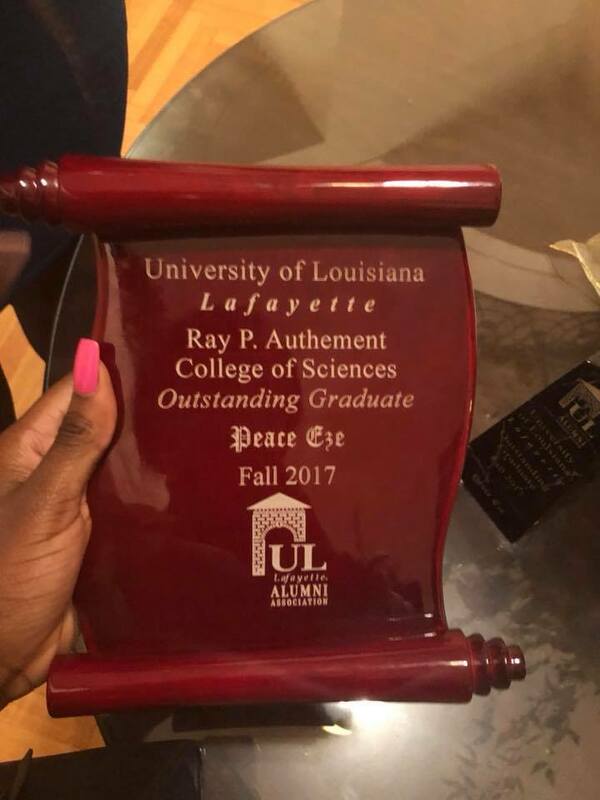 We are very proud to see Peace graduate as an Honors student and as an Outstanding graduate, and so we wish her congratulations on her hard work.